Twitchy Frank ventured to Bendigo for their stand alone meeting on Saturday for the 1400m Vobis Gold Bracelet for Fillies and Mares. In what looked to be a tough ask for the 4YO mare with her 58kgs we felt that she ran super given the lack of speed in the race. From the good barrier Jamie Mott was left stranded in front as she pinged the gates and was left a length in front after 200m with no other horses interested in taking up the lead. Jamie decided to let her roll forward and she controlled the tempo coming to the turn. As is the case at Bendigo the long straight proved a little too long and eventually she was overhauled by Miss Siska in the final 200m along with River Jewel and she held on for a gallant third placing, only 1.6 lengths from the winner. 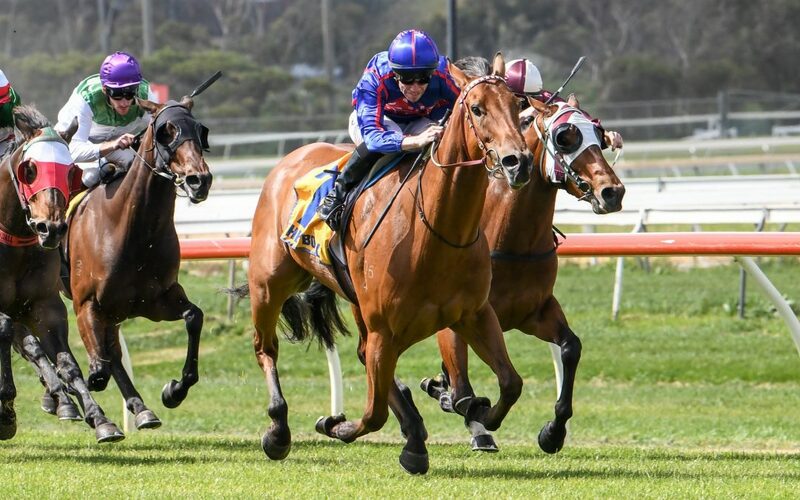 Adam Trinder feels this run will top her off nicely for the 1400m Super Vobis race at Caulfield in 4 weeks time where she will receive a similar weight disadvantage but should meet a weaker field for the $150k race. As she is coming to the end of her prep this race looks ideal for her and we can’t wait to get her back to Caulfield where we know she always runs her best races.